Director Ram Gopal Varma's Lakshmi's will be released in the cinema halls on March 22, a day after ABCD, Prema Katha Chitram 2 (PKC 2) and Suvarna Sundari hit the screens across the globe. Director Ram Gopal Varma has finally reveled the official release date of Lakshmi's NTR and the movie will clash with ABCD, Prema Katha Chitram 2 (PKC 2) and Suvarna Sundari at the box office. Lakshmi's NTR is a biographical movie based on the life of late legendary actor and politician NT Rama Rao, whose life took a deadly turn with the arrival of Lakshmi Parvathi. The movie is an adaptation of a book written by his second wife Lakshmi and it showcases the controversies in the last days of his life. There were huge expectations from Nandamuri Balakrishna's NTR: Kathanayakudu and Mahanayakudu, which were two parts of a biopic on NT Rama Rao. But both movies failed to impress the viewers and bombed at the box office. 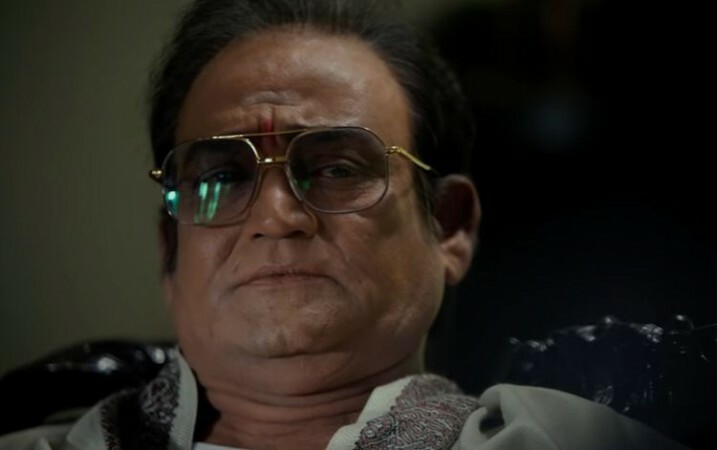 Post their failure, all eyes are set on Lakshmi's NTR and audience were requesting Ram Gopal Varma to release it in the cinema halls as early as possible. Several speculations were made about the release date of Lakshmi's NTR. After a long wait, Ram Gopal Varma took to his Twitter account to put all the rumour mills to rest. He announced that the film will hit the screens on March 22. The director tweeted, "With the great NTR's blessings #LakshmisNTR will be releasing on March 22nd"
However, Lakshmi's NTR will face tough competition from a few new movies, which are set to hit the screens a day before the release of RGV's movie. Allu Sirish's ABCD (American-Born Confused Desi), Sumanth Ashwin's Prema Katha Chitram 2 and Jaya Prada's Suvarna Sundari are scheduled for grand release in the theatres on March 21. ABCD, Prema Katha Chitram 2 and Suvarna Sundari are small budget movies and their makers have planned well for their promotion. Their promos have also grabbed many eyeballs and generated a lot of hype for them. They will not only create a scarcity of cinema halls for Lakshmi's NTR, but also eat away its share of earnings by becoming first choices for many viewers. Ram Gopal Varma's career has taken a back seat with back-to-back failures like Attack, Veerappan, Sarkar 3, Vangaveeti, Officer and Bhairava Geetha. While many thought that his career ended, the director is set to return with a bang with Lakshmi's NTR. It should be seen how it will perform at the box office.